When Tony Watt sprinted away from Barcelona’s Javier Mascherano with the ball at his feet, thousands of people in Celtic Park stood up in anticipation. The teenage striker looked up once, dropped the shoulder, then slotted the ball past goalkeeper Víctor Valdés. Celtic were 2-0 up. Against Barcelona. In the Champions' League. It was the stuff of dreams for those who follow the green and white half of the Old Firm. One fan enjoying the game at his home in Hamilton with friends jumped up with delight at Tony’s goal, the leftover pakora from half-time flying in the air as a result. He had more reason that most to celebrate the 18-year-old’s strike. He was his old PE teacher. Vince Cairns, 56, is the principal teacher of PE at St Andrew’s School in Coatbridge. 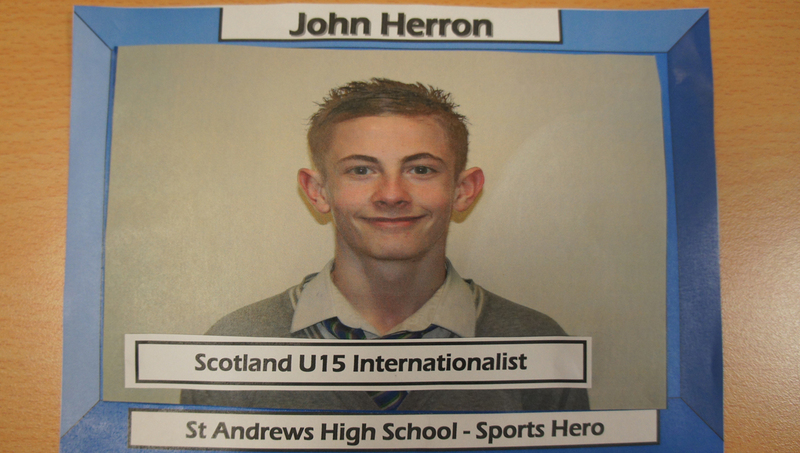 He was not just delighted for Tony after his crucial goal in last month’s memorable 2-1 win, but also for John Herron - another former pupil at St Andrew’s - who was a Celtic substitute on the night. “You couldn’t wait to get back in to work the next day,” said the 56-year-old. “You could feel the elation and excitement in the whole place. Even the Rangers-daft receptionist was celebrating. Tony’s goal was a great moment for Vince, who looks back fondly at the school days of the Celtic players. 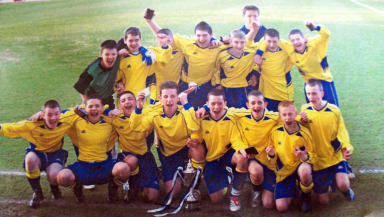 He added: “John was already with Celtic when he came to high school, so he wasn’t allowed to play with the school team. “Like many of the players we had, he showed great promise from a very early age. He had great skill, desire, passion and was hard-working and focused on where he wanted to go. “Tony stood out from the rest. Nobody saw that potential, even when he was in third, fourth and fifth year. He was a late developer. “He is the only guy I have seen in my teaching career who has gone that way, where he hasn’t been picked up at an early age. The man who did see potential in Tony was Jimmy Boyle, the Airdrie manager. Aged 15, the player was involved with the team’s under 19s squad managed at the time by Boyle. When he turned 16 in 2010, Tony signed with Airdrie. He played 19 times and scored three goals before he was signed by Celtic in January, 2011 for a reported £80,000. While John waits to make his first appearance for the Celtic first team, the recent successes of Tony has once again highlighted the football triumphs of Monklands, especially for the Parkhead side. Brian McClair, Barry Bannan, John Hughes and Peter Grant are some of the names to leave the towns of Coatbridge and Airdrie to play for clubs across Britain. Vince joined the PE department of St Patrick’s High School in 1979. The school amalgamated with Columba High in 2006 to create St Andrew’s. He has seen many players coming through in his time, including former Celtic winger Brian McLaughlin and Hibs defender James McPake. “I have had three teams which have won the Scottish Schools' Shield - Brian McLaughlin was in the first, James McPake scored a hat-trick in the final of the second, and I have the current lads now. Two members of the current Scottish Shield winning side are Ronan Hughes, 13, and Aiden Bickerton, 14. 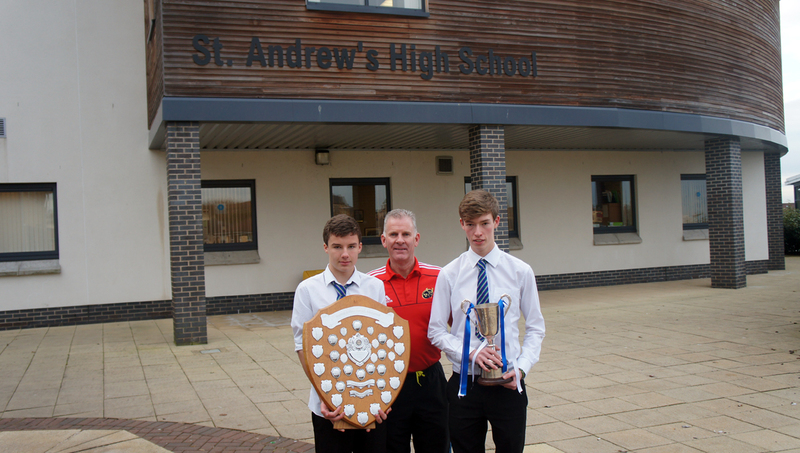 They, alongside 12 other St Andrew's pupils, are on the books of Scottish professional clubs. Ronan, a central midfielder, signed with Hamilton aged eight. He said: “When I see Tony and John play, it shows if they can do it we can do it as well. Aiden, who plays centre-half with Airdrie, added: “Tony comes up to training now and then and speaks to us. “Last time he was there was two weeks ago after the Barcelona game. There are some Rangers fans and Celtic fans in the team. The Celtic fans were pleased, the Rangers fans were a wee bit different. St Andrew’s also has ties with current Scottish league players James Martin (Hamilton), Daniel Mullen (Livingston) and Ricki Lamie (Airdrie). As a sports comprehensive, St Andrew’s offers its pupils facilities most could only dream of. A dance studio, four football and rugby pitches, a large gymnasium and several badminton courts are just some of the resources on offer. The school corridors are decorated with pictures of pupils who have succeeded in their sports, including champions in athletics, swimming and Irish dancing. 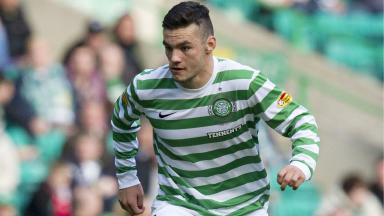 However, for every Tony Watt there are many who never make it. Vince said: “Realistically, it won’t happen for some of the players. There are not as many kids who come in to our first year with the same background in football as we used to get. Life is different. “If I had a pound for every fantastic under 13 or 14 player I have seen, I could have retired years ago. It is hard enough to stand out at your age group, but once you leave school you then have to compete with foreigners. This week, Celtic play Spartak Moscow in their final group game in the Champions League. Victory will ensure progression to the last 16 of the prestigious competition. Everyone at St Andrew’s will be hoping for more to celebrate. “We have a selfish interest,” said Vince. “We hope that both Tony and John are involved. We hope one gets man of the match, and the other scores the winner. “The pupils here think: ‘This guy was at St Andrew’s, maybe I could do that’. There are two guys at our school two years ago, and look at what happened. There is nothing wrong with those dreams.